Stylish solutions for residential, commercial and business applications, Chief PTSU table stand provides a wide variety of features for most large flat panel table top installations. 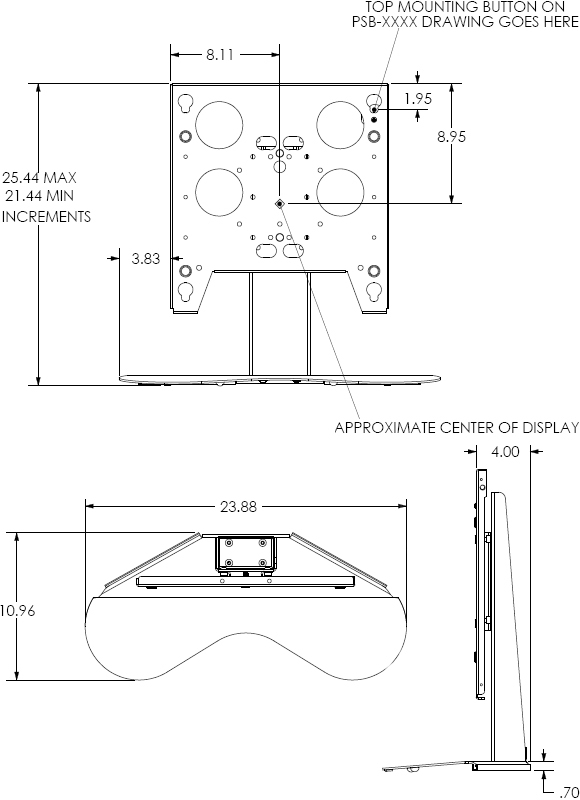 4" of display height adjustments in 1" increments to allow for difference screen heights up to 32"
Question: Do I need to order a separate interface bracket? 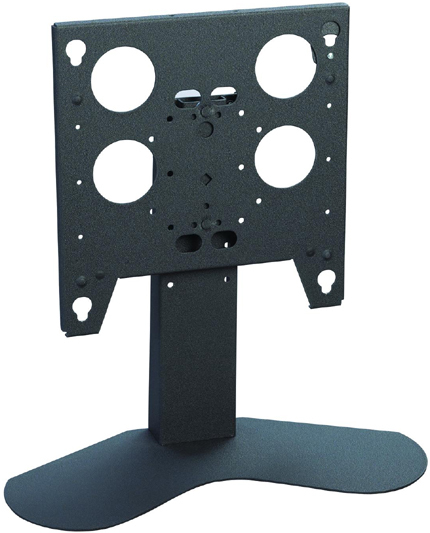 Answer: No, the PTS Table Stand ships as a complete assembly that includes the interface bracket. Question: What is the maximum size screen I can use with PTS Table Stand? Answer: The PTS can accommodate a 32" maximum outside height dimension of screen. It is designed to accommodate most 30"-50" screens. Monitor Size 32 - 50"